Characteristic aplomb, outstanding technology and distinctive self-assurance are unmistakable features of timepieces from Carl F. Bucherer. 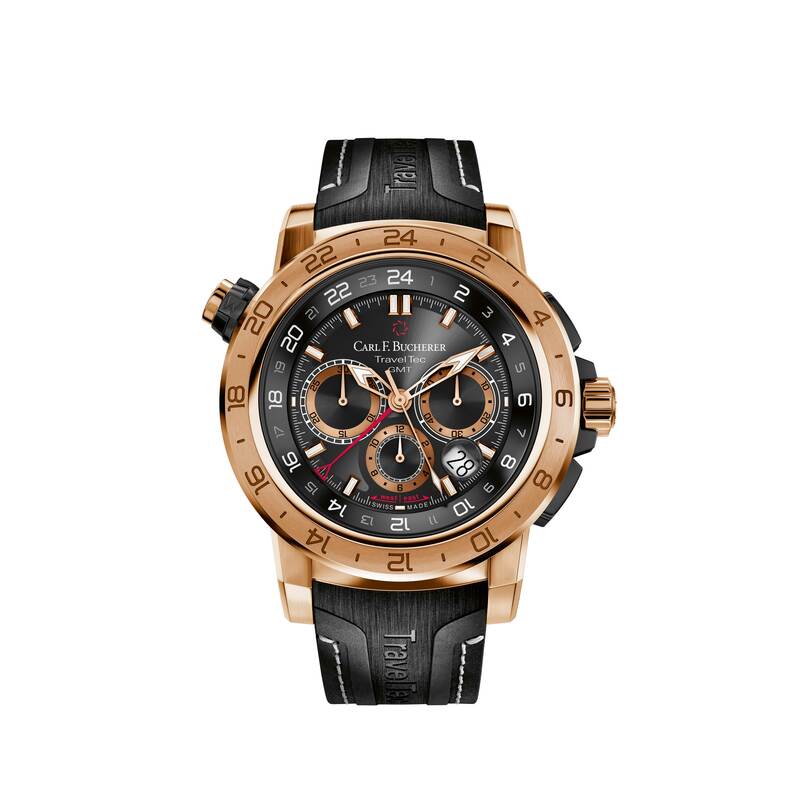 ting ability to display three time zones simultaneously, it also has the appeal of an exciting and elegant combination of black DLC-coated titanium with precious rose gold. cated monopusher switch mechanics can be admired through a window on the side of the case. Given adequate lighting, the owner can take pleasure in its appearance down to a depth of 100 meters.